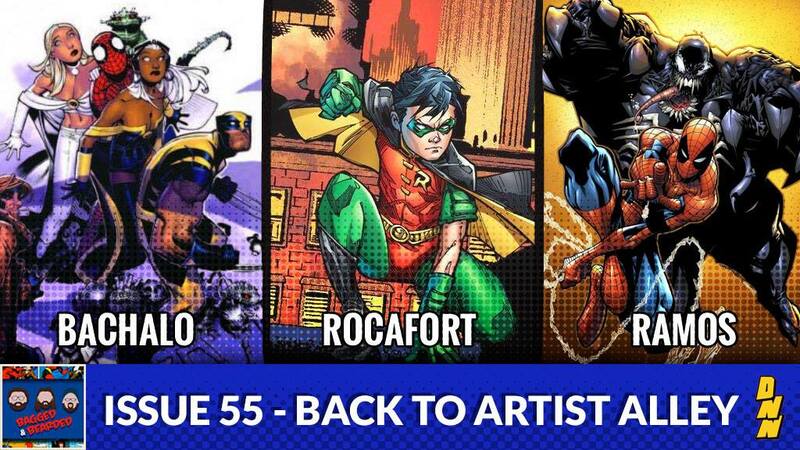 This week your bearded heroes choose three new artists to add to their own personal artist alley. Eric chose Kenneth Rocafort, Mitch went with Humberto Ramos, and Steven chooses Chris Bachalo. Check their social media at facebook.com/bagsandbeards twitter.com/bagsandbeards and instagram.com/bagsandbeards to see some of these artists work!